We are proud to announce that we offer a safe, reliable and quiet place to board your bird or exotic pet. Our facility will provide the specific husbandry requirements needed for each species. If your pet is positive for any condition listed above, they will need to be boarded in our isolation ward. At Avian and Exotic Pet Clinic, we provide appropriate husbandry requirements for your reptile pet during their boarding stay. 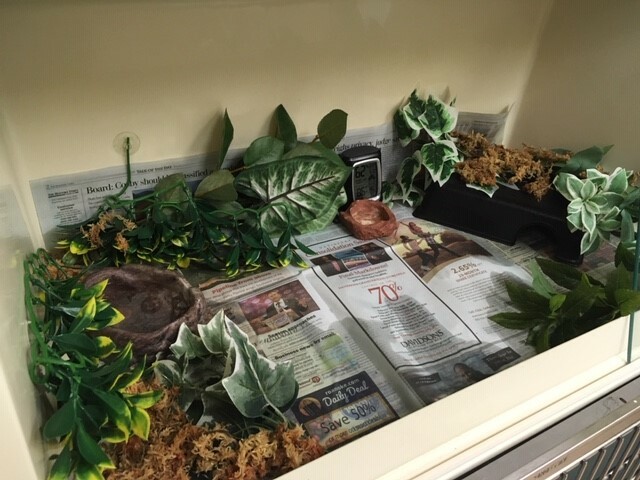 Due to their species-specific ectothermic nature, our trained and experienced nurses make sure to provide an acclimated environment where the temperatures, humidity, lighting, and dietary requirements are met. We always enjoy singing and conversing with our avian patients during their stay. We provide several forms of enrichment such as music, mirrors, appropriate toys, and foraging activities. 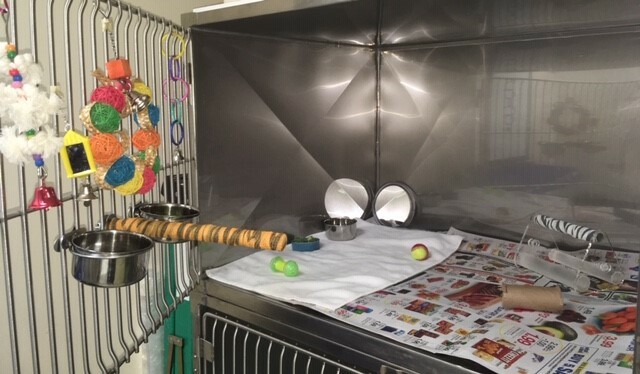 We monitor each pet every day during their stay and offer them an assortment of healthy foods as well as their own diet from home. 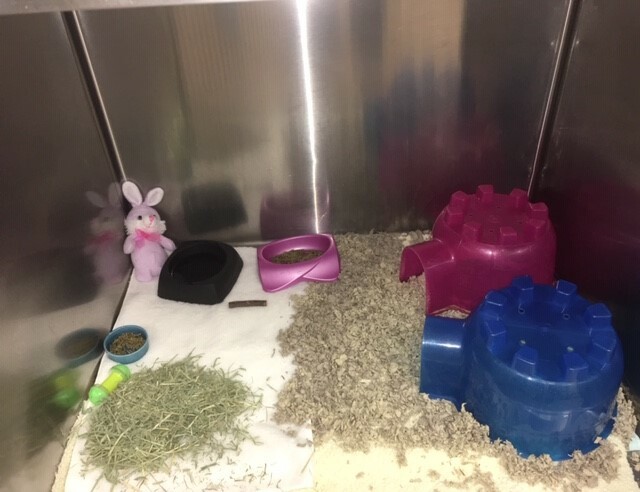 Rabbits, Chinchillas, Guinea Pigs and other rodents will be provided with a quiet environment where they feel safe. All of our more timid guests are provided with a privacy curtain. Our mini-mammals and pocket pets will be provided soft absorbent bedding, hiding huts, and diet according to species. We encourage that owners bring items and food that they are familiar with. If you have any further questions or would like a tour of our boarding facility, please call our office at (540) 989-4464!